Having studied art and architecture in the UK, I have always had an interest in form and creating things with beautiful lines and proportions. 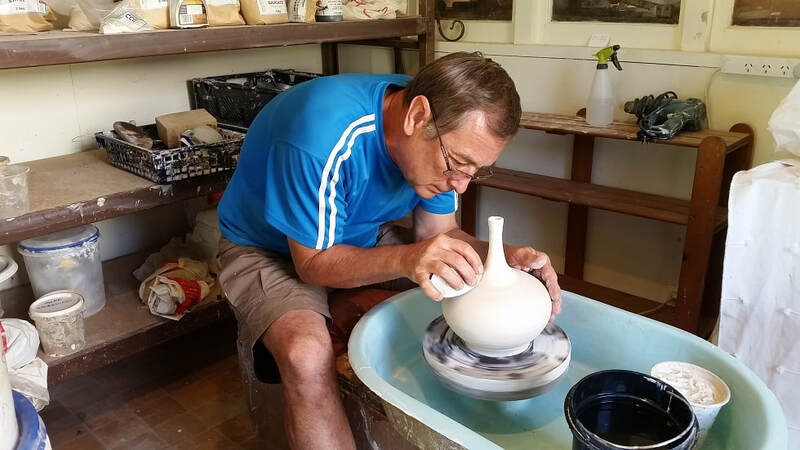 ​Since 2008, I have been a member of the Firebirds Northland Potters. ​Throwing ceramic forms and developing my own glazes continues to be a challenging and exciting journey for me. I am also part of ColaboratioNZ (sic) working with international artists of varied disciplines. I enjoy working in metal and the freedom it allows. The best way to describe my 3m high kotuku (white heron) sculptures is that they shimmer in the wind. ​My creations seem to have an eclectic and burgeoning appeal, and can be found in Auckland, Germany, England and even Alaska. My wish is to inspire.